Throughout history, humans have shown great ingenuity in construction. Since the early days of mankind, we have managed to put our tools and ideas at the service of our living and working environment demands. Building the world we know today has taken years of dedication and constant evolution. In our efforts we have tried out lots of different materials and all possible ways to make sure they stay together. Over millennia we have gone from using tree resins and plant fiber to assemble tools from flint stones and wooden sticks to advanced technologies such as rivets and welding. We are now living in the era of adhesives, where reactive resins have proven to be the next best way to make sure everything stays firmly in place. To understand chemical anchoring we first need to explain what mechanical anchoring is. This technique consists of inserting a sleeve or wedge anchor in a previously drilled borehole in the base material (brick, concrete, etc.). This sleeve or wedge expands until it tightens the stud or bolt causing the anchor to grip the wall of the hole, providing an extremely strong hold. The process is similar to what happens when we use a plastic plug to insert a screw in a hole drilled in the wall to mount a picture frame at home, but on a larger scale. However, mechanical anchors require the boreholes to be drilled millimeter-perfect every time, and don’t allow for any significant realignment. Furthermore, boreholes cannot be placed towards the edge of a concrete surface, as the mechanical stress of drilling and the subsequent expansion of the anchor may cause the concrete to crack. Chemical anchoring, in contrast, can deal with these issues. Highly reactive resins can be injected into the borehole prior to the insertion of the steel stud or bolt. The reacting mixture fills in all irregularities and makes the hole airtight with 100% adhesion, which creates extra load strength. It also reinforces the structure of the concrete walls as well as around the borehole, making it resistant to cracking. Finally, chemical anchoring gives the installer the opportunity to make slight adjustments to the stud’s alignment while the chemical mixture is still curing. Chemical anchors have virtually unlimited embedment depth, so any length of rod can be embedded into the hole to increase the load capacity. And if a larger-diameter hole with a thicker rod is chosen, load capacity can be even further increased. The early beginnings of chemical anchoring can be dated as far back as the 17th century, when Sulphur was used to anchor metal to stone. Chemical anchoring technology conquered its first big challenge in the construction of the 1972 Olympic Stadium in Munich. Where else can I see chemical anchoring? 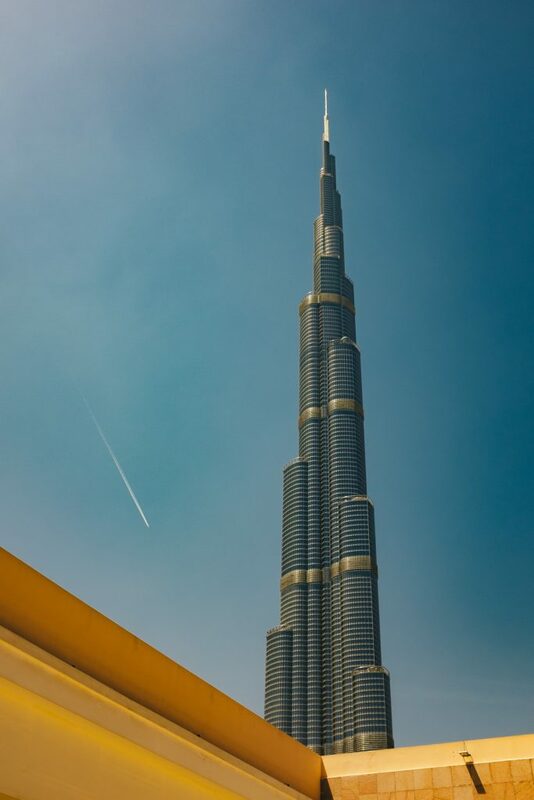 Dubai’s Burj Khalifa, the skyscraper par excellence, is the world’s tallest building reaching 828 metres. Here where a heavy steel sub-construction was fixed to one part of the shopping mall. Chemical anchors were chosen over mechanical ones because of the higher loading force they provide, and for being more resistant to earthquakes. Chemical anchors do not only work well up in the heights. They deliver performance solutions from dizzying skyscrapers to infrastructures well below ground. 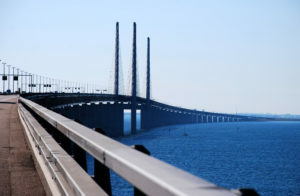 Take the Malmö City Tunnel, for example, which connects the continental rail track coming from the Danish Øresund Bridge with Sweden’s Malmö’s main station and the wider Scandinavian rail network. The Malmö city part of that link is made of two tubes running in parallel for a total length of 9.2 km. Chemical anchors have been used to fasten brackets to the tunnel concrete tubbing – which carries the fire pipeline and cable routes – using footplates. Due to the train traffic, the bracket fixing had to be designed to resist the continuous stress of train vibrations. There are a lot of resin systems for chemical anchoring, such as unsaturated polyesters, hybrid systems and epoxy acrylates (vinylester). However, epoxy systems are the preferred choice for many installers. Two-component epoxy systems come in a large variety of formulations which are adaptable to the site and to the specific materials where they need to be used. Hardened two-component epoxy resin mortars have very good thermal and mechanical properties and an outstanding resistance to chemicals. After hardening, they shrink very little and can withstand huge loading weights. Once more, epoxies are delivering the technology of tomorrow today, from the tallest skyscrapers to engineering projects deep underground.